Stinky dogs. No thank you. We have two doggie fur babies in our family. 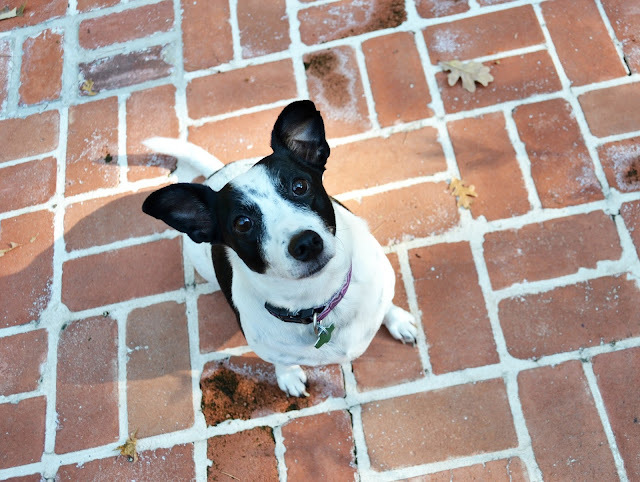 Penny is our Jack RusselTerrier mix. She is low-maintenance, prefers not to exert herself, and loves to eat excessively. Mack is our German Short-hair. 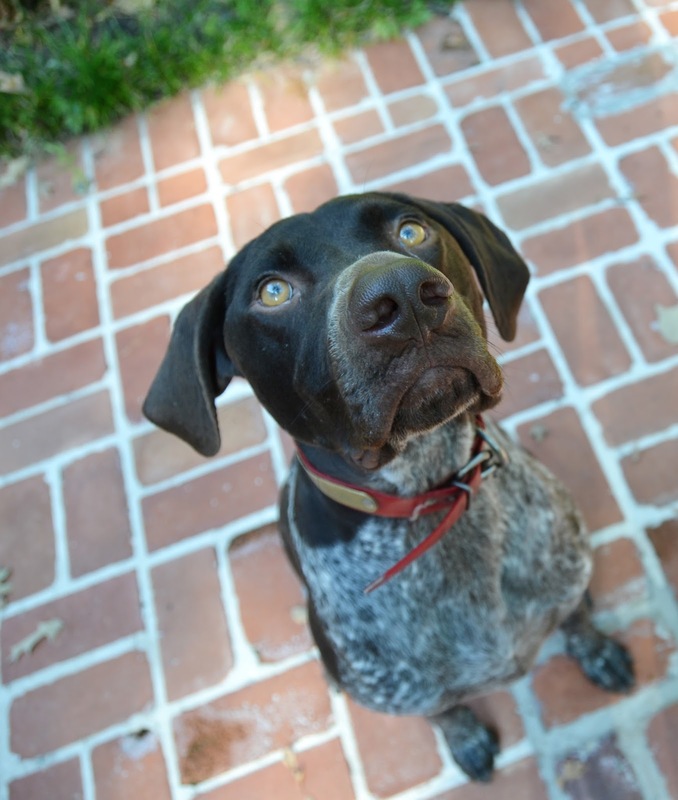 He is everything opposite of Penny: loud, playful, goofy, high-energy, and can outrun you on your bike. My sweet girl, Izzy, loves to care for Penny. She bathes her and brushes her fur and takes her on walks. Poor Mack does not get the same attention, as bathing him requires multiple adults at the same time. His baths are few and far between. The solution? An in-between Dog Deodorant Mist. 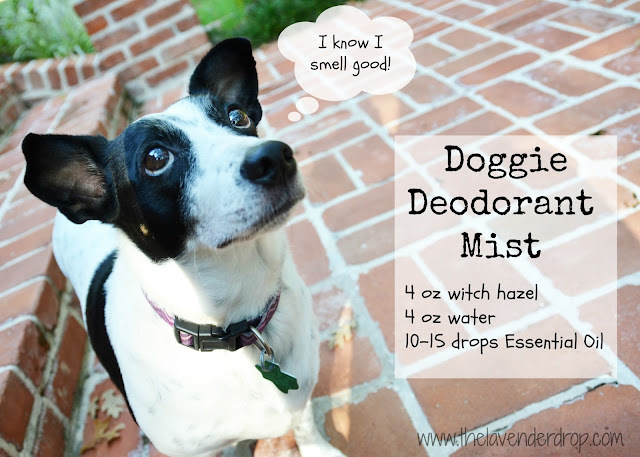 If you aren't wanting your house to smell like a kennel and your dogs to smell like they have a buzzard strapped to their chests, then try this easy DIY mist. It is cheap to make, and has no perfumes, dyes, parabens, phthalates, or alcohol. 10 drops Lavender* and 5 drops Purification* ~ For the dog in your life that stinks and has sensitive skin. 10 drops Lavender* and 5 drops Tea Tree* ~ For the dog in your life that has skin irritations and may need additional support deterring outdoor annoyances. 10 drops R.C. 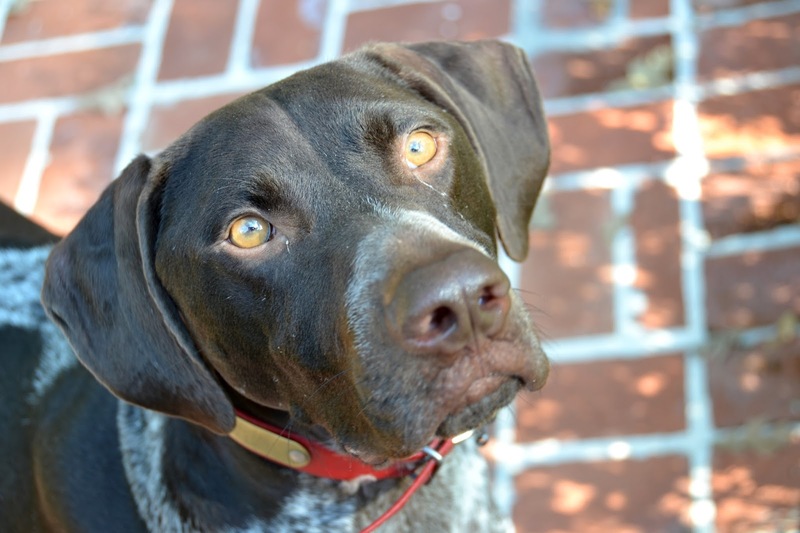 * and 5 drops Lavender ~ For the dog in your life that needs extra support for his/her respiratory system. 15 drops Stress Away* or Peace and Calming* ~ For the dog in your life that needs to smell good and calm the heck down. Penny is more of a Lavender and Tea Tree kinda gal. Mack leans towards the Stress Away blend. Ha! Essential Oils aren't just for dogs! They are becoming increasingly popular in the daily routine for horses as well! Check out this great article: My Home Remedies for Horses includes Essential Oils, Does Yours? I am participating in a blog circle every first day of the month with a group of fantastic ladies. Follow this LINK to hear Danielle's heart as she shares on the comfort of God having our future in His hands. Then, follow the blog circle around back to me. I will fool you with my serious face. I'm intently watching that beef jerky in your hand. Don't make any sudden movements or it's mine. Did someone say beef jerky? Beef jerky.. wait, there's a bird.. wait, look at that leaf falling. OMG, is that a car passing? to get him still enough for a picture! !